Although hydraulic filters are not a common topic, they are an important part of your hydraulic system. Failure to use them correctly can impact every component of your machine, right down to your final drive motors. In this Shop Talk Blog post, we are going to talk about some important things to remember about filters in a hydraulic system. Experts agree that between 70% to 80% of hydraulic failures can be traced back to contamination in the hydraulic fluid. 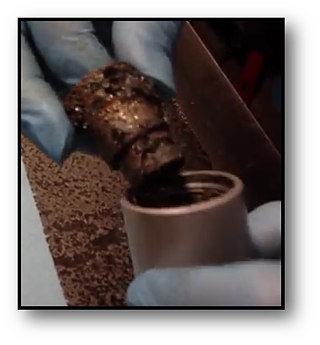 Contamination is a major issue in hydraulics. Once contamination makes its way into a hydraulic system, it can wreak havoc throughout the system. Damage will start in part of the system, generating more debris and contamination. That additional contamination continues along the system -- until it encounters a filter. Without hydraulic filters, damage does not remained localized, but instead has a domino effect throughout the system. If you doubt the magnitude of damage that can result from contamination, consider this cylinder block taken from a radial piston hydraulic motor. All of that damage was traced back to hydraulic contamination. Consider a pump failure as a result of a failed bearing that has simply exceeded its expected life. Tiny burrs and flakes of metal begin to fall off the bearing and perhaps the surface it interacts with. This is abrasive contamination, and as it flows downline it will reach the final drive. Soon, you have to replace both a pump and a final drive -- with costly downtime and expensive repairs to follow. Filters are one of the most important lines of defense against damaging contamination. That said, the proper use of filters will greatly reduce contamination and prevent many failures from even starting. Don’t skimp when it comes to purchasing quality filters. A poor quality filter can be almost as bad as having no filter at all. Considering how important those filters are in preventing hydraulic failure, it only makes sense to be careful about what filters you invest in. You need those filters to prevent contamination from continuing throughout the system. Filters keep the contamination isolated and minimize the resulting damage. 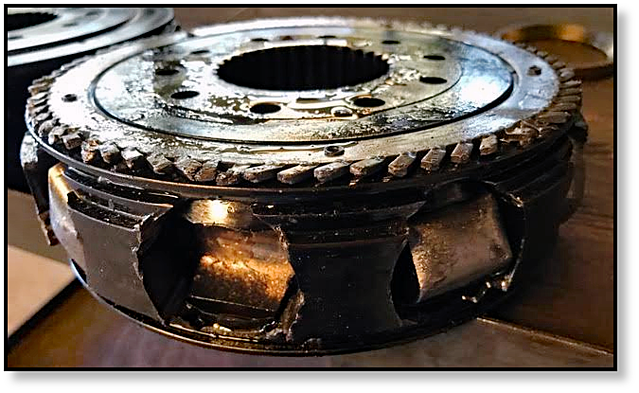 If you think back to our previous example where a failed bearing in the main pump introduced metal flakes and burrs to the hydraulic fluid. A quality filter will stop them before they reach the final drive motor, isolating the damage to the pump only. Manufacturer guidelines for your equipment will provide a good idea of when to change your filters. The engineers designed those guidelines so the equipment would have optimum performance and run with as few problems as possible. You also need to change your filters when the hydraulic fluid is replaced, and when there has been a failure in the hydraulic system. One type of filter that we dwell on quite a bit is the case drain filter. If it is not checked and changed regularly, it can destroy a final drive motor. These benefits affect the final drive motor too. Good filters on your hydraulic system protect the investment you have in the final drives and help them operate at peak efficiency. If your final drive motors are working well, there will be a positive impact on job performance as well. 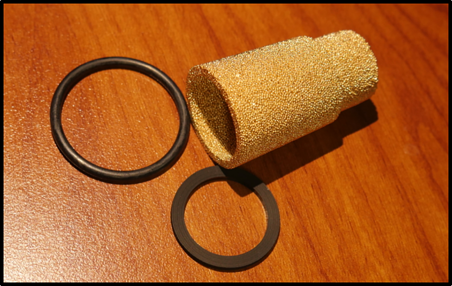 Don’t treat the filters on your hydraulic system as an afterthought. Establish a regular routine following manufacturer guidelines to check and change those filters. You will find that your machine -- whether its a compact track loader, mini excavator, or skid steer loader -- will run better, the components will last longer, and repair costs will go down, guaranteed! Its also a good idea to change your filters are you replace or fix a final drive that suffered a catastrophic failure.